Roger Waters is disassociating himself with The Endless River, the Pink Floyd album culled from sessions recorded in 1993 & 94 that will be released November 11. 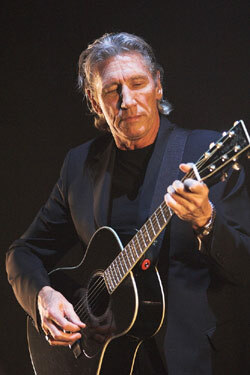 Waters, who has toured extensively recreating Pink Floyd concert sets on his own since leaving the group in 1985, released a statement saying, 'I have nothing to do with either of the Pink Floyd Studio albums, Momentary Lapse of Reason and the Division Bell, nor the Pink Floyd tours of 1987 and 1994, and I have nothing to do with Endless River. Phew! This is not rocket science people, get a grip.' He's always been a prickly guy, and many consider that description more accurate without the last two letters!